Right after someone’s baat pakki, the quest for a top photographer, an ideal wedding planner and that MUA of your dreams is paused for a few moments, just for one main purpose. You guessed it right, we are talking about Bridal Dress that might make or break your look. Now, you obviously want a masterpiece with just the right embellishment, color tones, and style. As a bride to be, you aspire something (from a whole lot of bridal dresses)that will turn you into a regal princess, once whose photos will fascinate you for years to come! It is true that weddings in Pakistan are famous for the ‘celebrations’ that go on for a number of days. 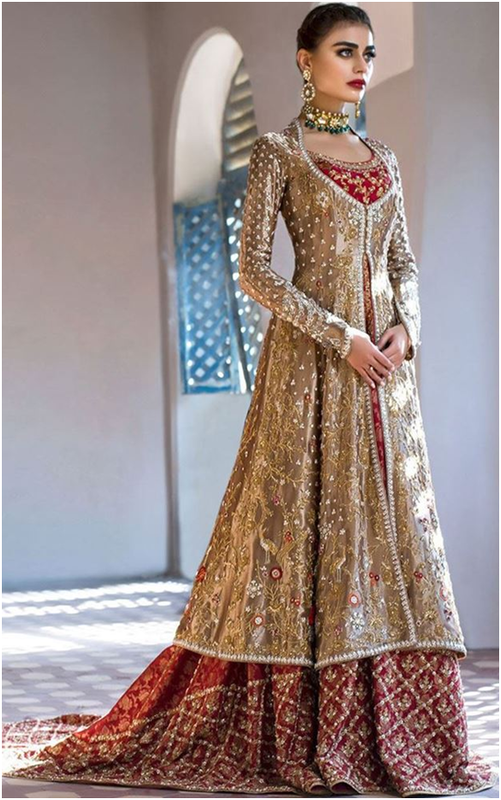 Similar to a wide range of festivities, you may also choose from dresses offered by Pakistani bridal wear. In case, you’re looking for options when it comes to bridal dresses then you have landed at the right place. Take a look at some of the options! 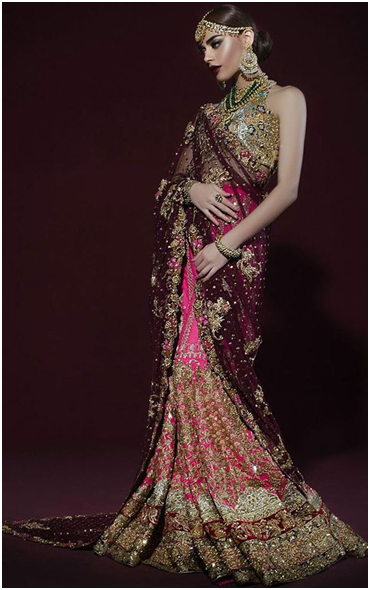 Lehnga: The right volume and flare that comes with this Lehnga is just beyond perfection. It consists of dupatta, floor-length Lehnga, and a choli. You can replace choli with a long shirt according to your preferences. In case, you want to forgo with the dream of that ideal princess twirl, then you can do just that with the fluffy flare of your Lehnga. Thus, it is a perfect choice for women who want to carry on with the traditional style. Gowns: Those long-tailed, mermaid styled gowns in bridal dresses are indeed the first love of all brides. This particular attire is not only quite sophisticated but also quite modish. Of all people, you as a bride will have to be the center of attention, and for that, you must look your best self. In a situation like this, this enchanting attire comes as the answer you’ve been looking for! 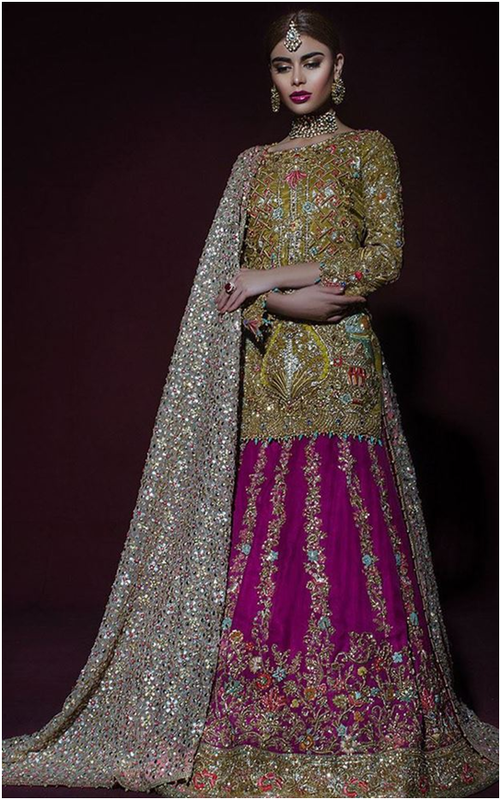 Gharara: Known to be the most adored bridal outfit of all times, this marvelous bottom is here for every pretty bride. Now, you may pick a kurta with beautiful zardozi work and pair it up with the Gharara color of your choice. This heavenly combination is going to amaze you, stun you and make you fall in love with your appearance. 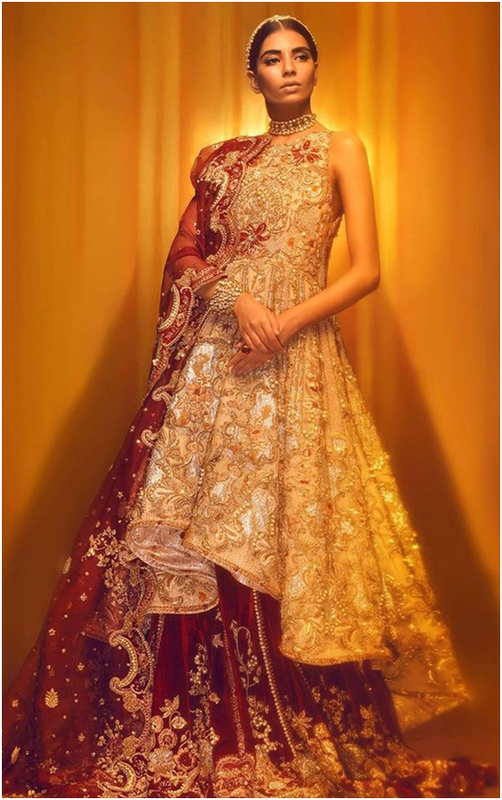 If you love flares, but not with gowns, then a Gharara is what you need to buy! Angrakha: If you happen to love the flare and flounce, you will be able to make a number one choice for your mehndi. Of all Pakistani bridal dresses, this chic and ethereal frock that comes with a side slit is all goals and that churidar trouser just add extra charm in the overall appearance. The good news is that this is just another attire that will make you want to twirl all over again! Sari: An apparel like saree is the epitome of poise, charm,and sophistication. This goes with saying that it speaks the language of femininity and elegance all too well. Those women who would prefer a nontraditional and smarter designer wear can surely pick a sari for it symbolizes supreme delicacy and prestige. What Are The HR Leadership Qualities Required For Leadership Roles?